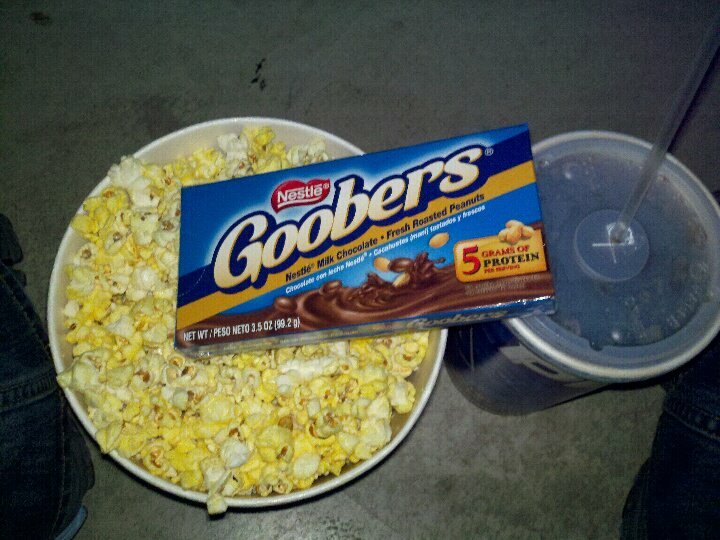 Is there anything better than a large tub of buttered popcorn and a soda? Yummy! Try putting your goobers in your popcorn and mixing it up (I do this with milk duds) That way you end up with little chocolate surprises every few handfuls. The hot popcorn melts the chocolate just enough to make it a great combo! I absolutely love going to the movies and always have to get popcorn!! !